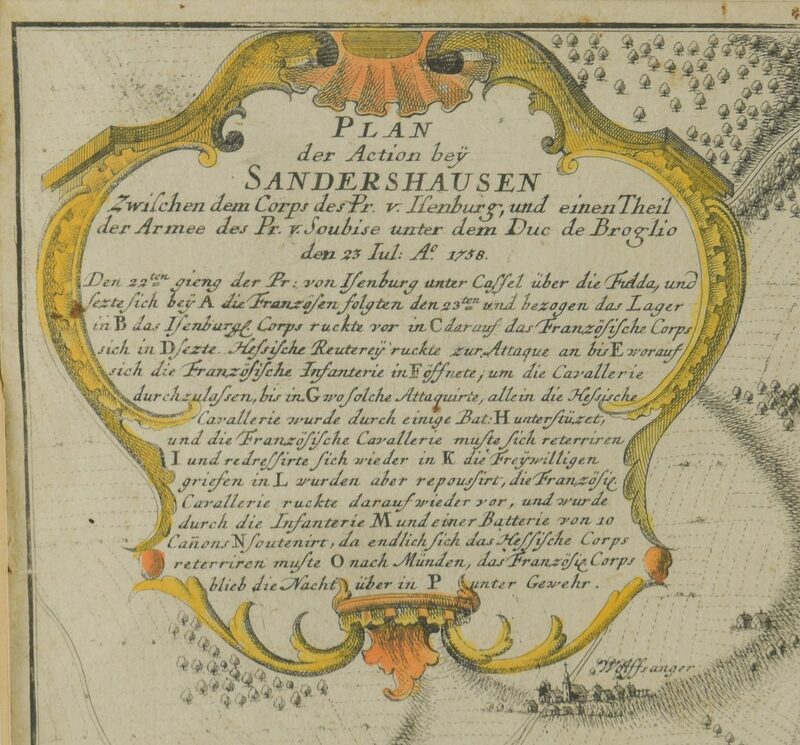 1st item:"Plan der Action bey Sandershausen" Map, published by Raspischen Buchhandlung , Nuremberg, circa 1760. 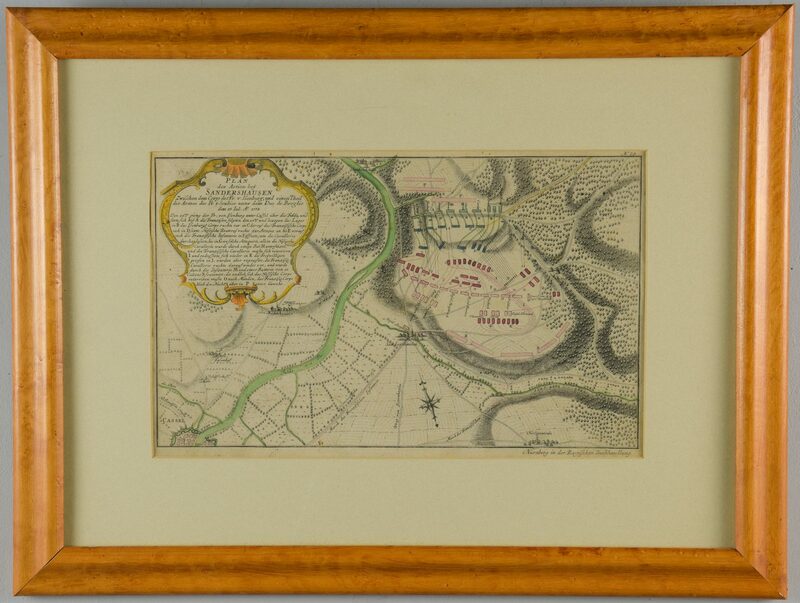 Copper plate engraving with hand coloring of Sandershausen with a schematic view of the town and surrounding areas depicting cities and towns, roads, forests, rivers, mountains, and farmland. Title cartouche with information text, top left. Map surrounded by double line border. Housed in wooden frame with matte. Image – 8 3/4" H x 14 1/2" W. Sight – 9 1/4" H x 14 3/4" W. Framed – 17 7/8" H x 23 1/2" W. 2nd item: "Road from Kendal to Cockermouth. Cumberland." 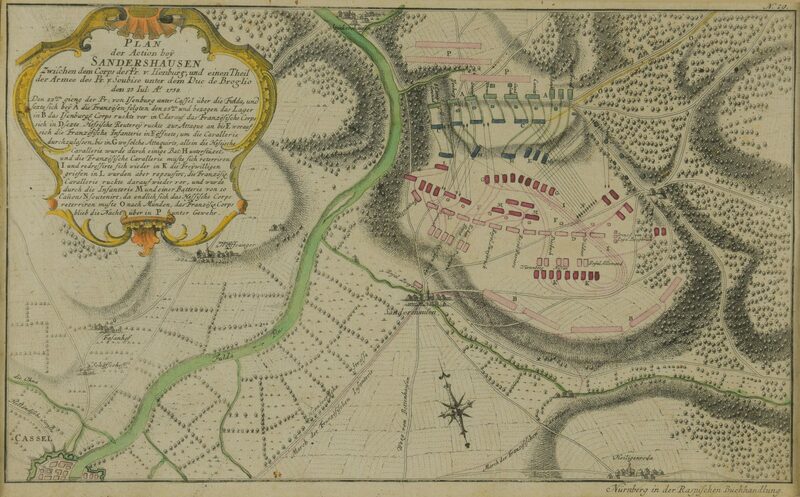 Map, after John Ogilby, engraved by Emanuel Bowen, printed by Thomas Bowles, London, 1720. From "Britannia Depicta or Ogilby Improved" by John Owen and Emanuel Bowen. 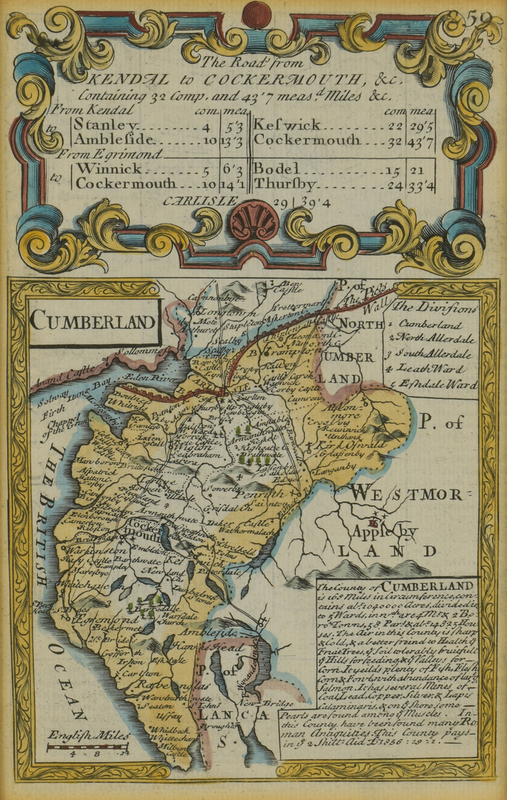 Copper plate engraving with hand coloring of the county of Cumberland depicting towns and settlements, forests, roads, boundary lines, rivers, bodies of water, mountains, and other points of interest including the Picts' or Hadrian's Wall. 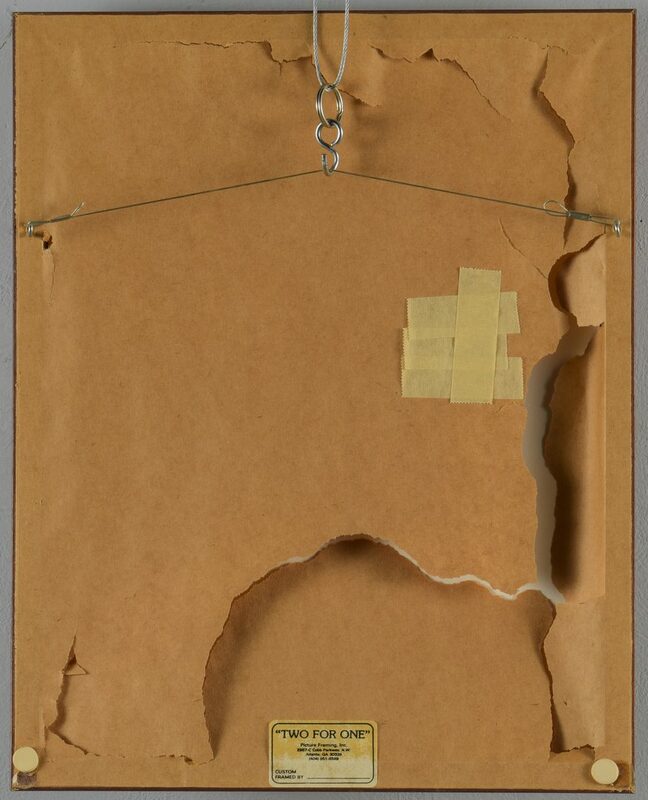 Title, top left, "the Divif[s]ions", top right, Cumberland information text box, lower right, scale of miles, lower left. Map is surrounded by a decorative border. Measurements of county roads in decorative cartouche centered above map. 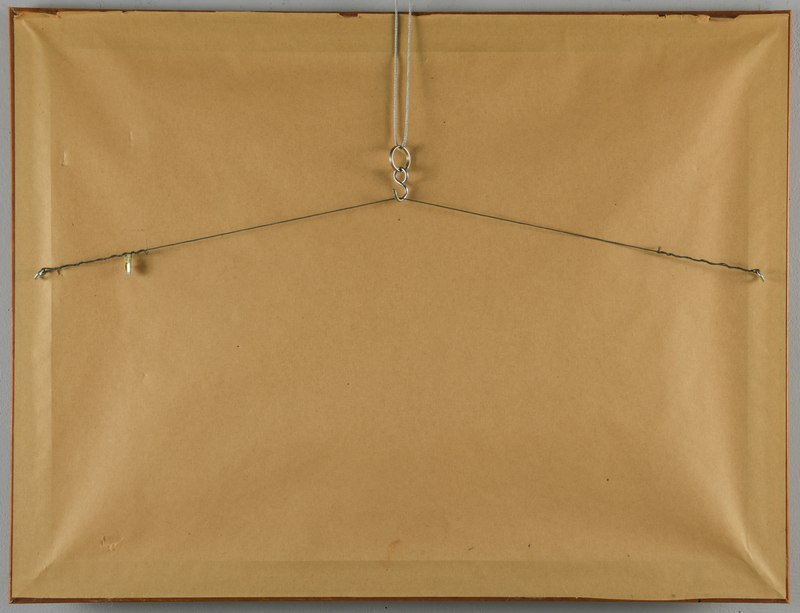 Housed in a wooden frame with double matte. 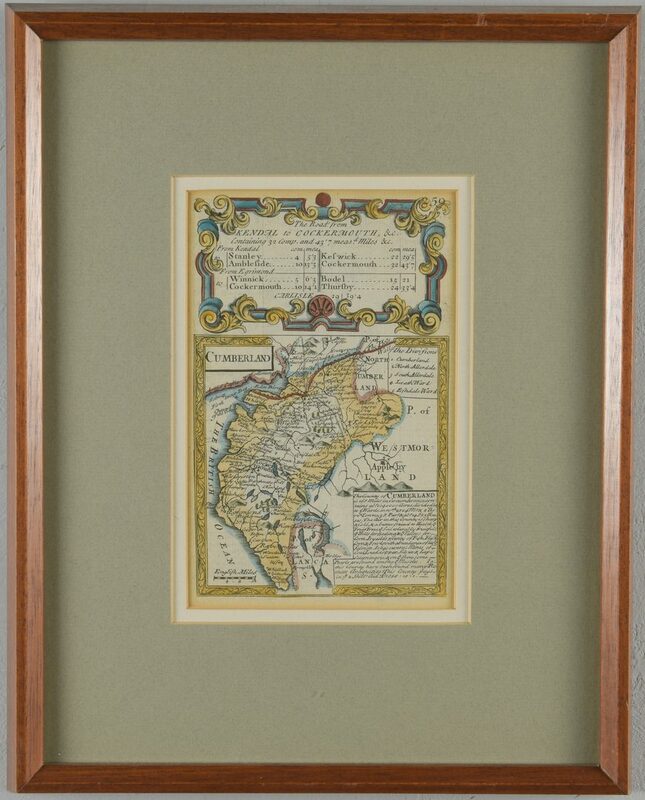 Image – 7 1/8" H x 4 3/8" W. Sight – 7 1/4" H x 4 3/4" W. Framed – 14 1/2" H x 11 1/2" W. Both items early/mid 19th century. Provenance: Private Knoxville, TN collection. CONDITION: 1st item: Toning around edges of sheet. Not examined outside of frame. 2nd item: Minute foxing spots on surface of sheet. Not examined out of frame.